Aristride Marcelling Halopeau purchased the Eugene Barrois doll company in 1877, by 1882 he introduced the H mold Bébé doll until January 1899 when the company went out of business. 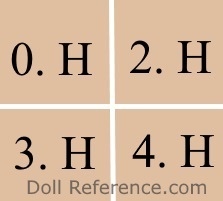 The H mold dolls are rare and highly sought by collectors with deep pockets. 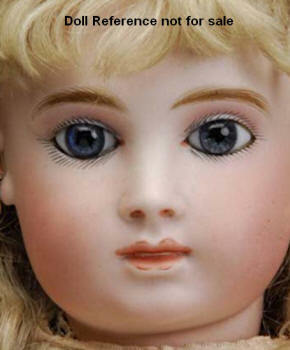 For the rest of us, we'll probably be content to find a reproduction doll made by an artist. Halopeau Doll Mark Sizing: 0 . H = 16 1/2", 2 . H = 19", 3 . H = 21" and 4 . H = 23 1/2" tall.